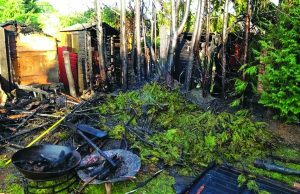 A GREEN Watch crew from Woking Fire Station put out a blaze caused by a barbecue which destroyed a hedge and four sheds. “This was another reminder to always keep your barbecue clear of any potential flammables,” said a crew member. See the full story, with a photograph, in the 24 May edition.